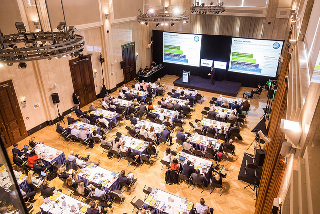 This year's CFO Congress under the title „well mixed CFO menu“ brings 6 hours of contributions, case studies and discussions, moderated by the proven Daniel Stach of the Czech Television. The detailed program was just published HERE. The Conference program is structured so that the participants can easily learn about the news, trends and effective solutions for responsible financial management in a condensed form during one day. The program introduces financial experts and financial directors of leading companies operating on the Czech market, such as CFOs of Raiffeisenbank, Innogy, Biocel Paskov, SAS Institute, Orkla Foods CE and many others). 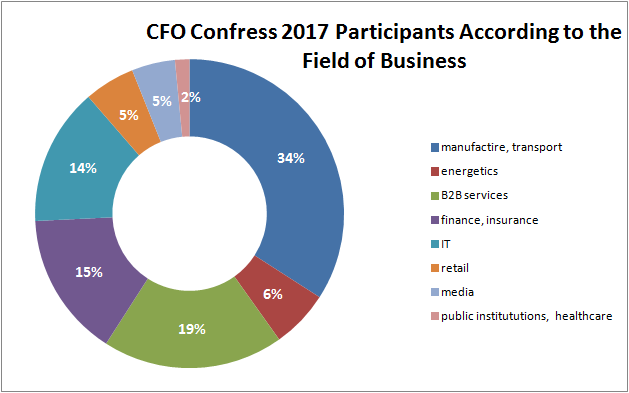 The audience of CFO Congress traditionally includes senior management of companies, primarily financial directors and other board members (C-level participants represent more than 70 % of the audience). The Conference participants represent a varied range of disciplines from industrial production, through the transport, energy, telco, IT and financial sector. The program is designed for large companies with more than 100 employees, but can be useful even for smaller companies. CFO Congress is brought by Blue Events supported by a number of partners, headed by expert guarantor – the Deloitte company.